South India’s top actress Nayanatara has finally entered the sets of Balayya’s 102nd flick under director KS Ravi Kumar. Her new stylist has shared the new look of Nayan from this flick. The leading stylist Neeraja Kona has been roped as the chief stylist for the actress Nayanatara for this flick. As a result, Nayanatara with her new look has participated in the production of Balayya’s 102. 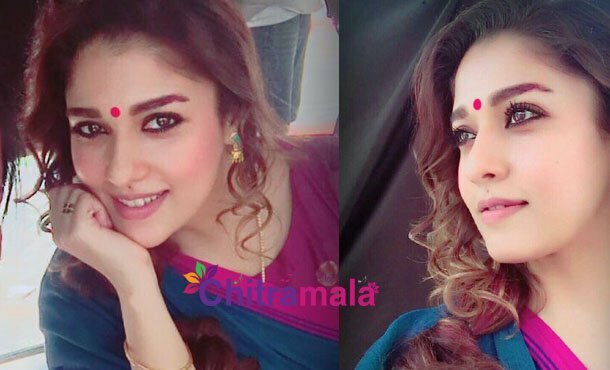 Neeraja has revealed the new look of Nayanatara and written that her journey with this beauty has just started. Nayanatara is looking as gorgeous as ever and for the third time, she is romancing Balayya after Simha and Sri Rama Rajyam. Her lucky charm will always work for Balayya and they are going to score a hat-trick. This movie’s regular shooting is on in Hyderabad. The movie will be readied for next year’s Sankranti or so. Meanwhile, Balayya is busy making arrangements for the release of Paisa Vasool on 1st of September.